 Edited by sp15, Apr 10 2014 - 18:57. Edited by sp15, Apr 10 2014 - 19:16. Edited by sp15, Apr 10 2014 - 19:23. Edited by sp15, Apr 10 2014 - 19:31. 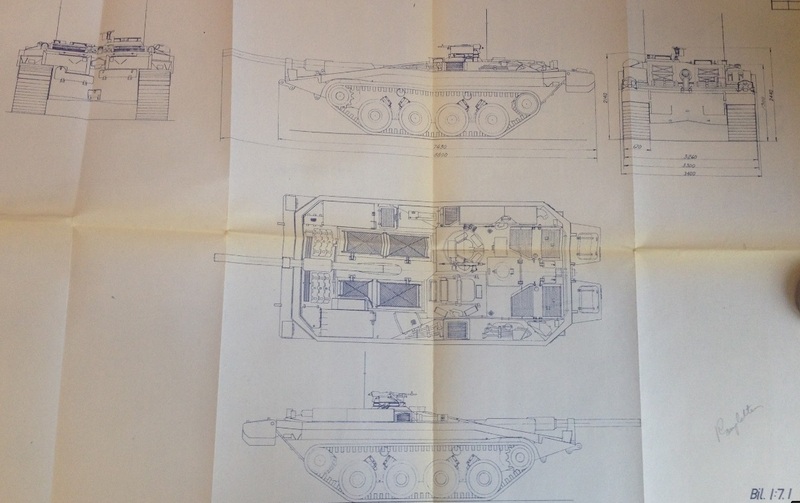 And that is all of the Ikv 91 submissions from around 1965. we know that landsverk later makes a proposal for a turreted vehicle and we know the Hägglunds Ikv design ends up without a autoloader and with a different hull so some things change between 1965 and 1968. But this is all we have for now. Edited by sp15, Apr 10 2014 - 19:56. 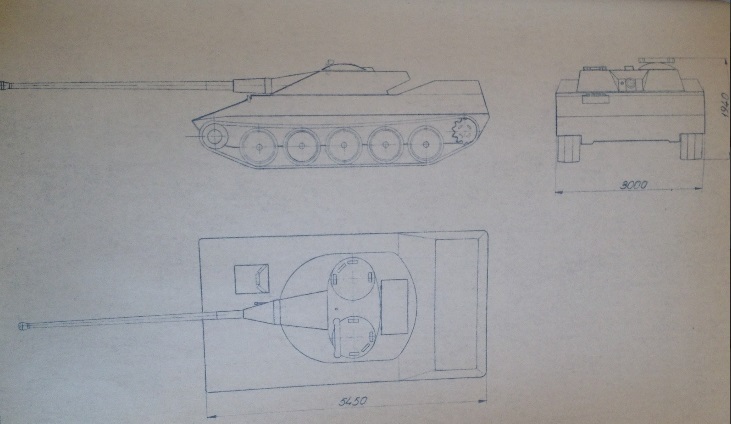 There is a document that mentions improvements planned for the Swedish centurions, the most interesting parts include plans for Dozer blades for every third tank and side armor "fences" like those on the front of Strv 103. Things like rubber tracks are also mentioned. Edited by sp15, Apr 10 2014 - 21:02. What's with all of the empty areas behind the turrets (specifically on the Hägglunds proposals)? Wouldn't they prevent the turret from turning full-circle? i think it may be for holding flotation equipment. Edited by sp15, Apr 11 2014 - 06:14. They just seem like they would be more of a liability in World of Tanks. Were they to be installed once they got to an obstacle such as a river (like the real-life Ikv 91's equipment), or was it attached to the vehicle indefinitely? In this post I will attempt to explain which archives I've studied so far and what further things there might be to investigate. So far I've kept my research to the National Military Archives (Krigsarkivet) in Stockholm. It's a subsection of the National Archives, responsible for archiving official documents created by all government authorities under the Department of Defense and its predecessors, as well as some related private archives. The archive is a very old institution and contains documents dating back to the 16th century. Until 1968, the army, the air force and the navy each had a separate government authority responsible for purchasing, developing and maintaining that respective service's equipment. These were called the Royal Army Ordnance Administration (Kungliga Armétygförvaltningen, or KATF for short), the Royal Navy Administration (Kungliga Marinförvaltningen, KMF) and the Royal Air Force Administration (Kungliga Flygförvaltningen, KFF). 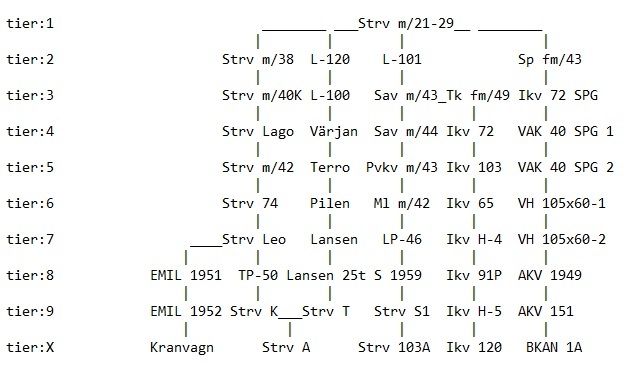 In 1968 these were merged to a single authority called the Defense Materiel Administration (Försvarets Materielverk, FMV). Obviously, to us, KATF is the one that is interesting (FMV might have some interesting stuff too). Over the years, the administration went through a number of reorganizations. It was initially called the Artillery and Ordnance Department of the Royal Army Administration (Kungliga Arméförvaltningens artilleri- och tygdepartement, KATD). 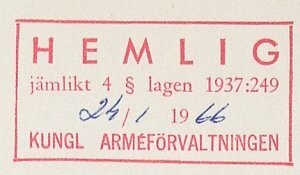 In 1944, it was reorganized and renamed the Ordnance Division of the Royal Army Administration (Kungliga Arméförvaltningens Tygavdelning, KAFT); in 1954, reorganized again and renamed the Royal Army Ordnance Administration (KATF). Finally in the latter half of the 60's it was renamed to simply the Royal Army Administration (Kungliga Arméförvaltningen, KAF) but this was merely a name change and not a reorganization. - the Central Planning Section (Centralplaneringen), responsible for high-level strategy decisions and the like. - the Vehicle Bureau (Fordonsbyrån), responsible for vehicles of all kinds, everything from bicycles and sleds to tanks and helicopters. - the Weapons Bureau (Vapenbyrån), responsible for weapons, everything from pistols to guided missiles. 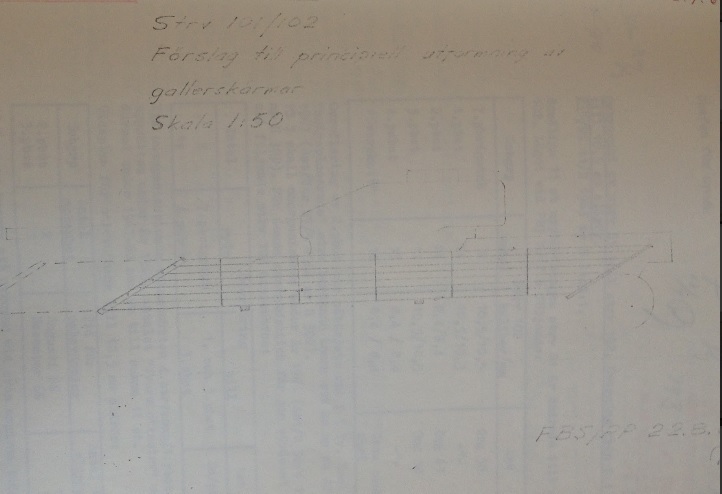 There were actually three of these with somewhat different responsibilities, and additionally several sub-sections (such as the Test Firing Center (Provskjutningscentralen) at the Karlsborg proving grounds). - the Engineering Office (Konstruktionskontoret), which engineered and built the administration's own equipment designs. Was shut down in the 1954 reorganization. - the Intelligence Center (Underrättelsecentralen), responsible for keeping track of what the rest of the world was doing. Furthermore, there are other entities that probably had fingers in the tank pies and/or might have interesting documents about tanks. These include places like the Equipment Division at the Army Headquarters (Arméstabens utrustningsavdelning) and the Defense Research Agency (Försvarets Forskningsanstalt, FOA) but also a lot of different offices and bureaus at the Defense Headquarters, such as the Swedish military attaches, the photo/film and press sections, the intelligence section, the military history section, the equipment section etc etc. Finally, also kept at Krigsarkivet is the military part of the Landsverk blueprint archives, but this is not currently accessible. It's reportedly in pretty bad shape (many blueprints stored in wooden boxes that are damaged and unopenable without a crowbar) and the only way to find which blueprint is kept where is a hand-written index contained in ~25 notebooks. The responsible archivist has promised me I can at least look at the index, and probably look at a few of the more easily accessible blueprints, but this archive really requires a lot of work before it's going to be possible to do any real research on it, and the constantly overworked archivists have many other projects to work on before this. Reportedly I'm the second person to ask for access to it in the last 15 years or so. From 1937, there were two levels of classification in Sweden. Regular secret documents are generally classified for up to 40 years. If it's related to military intelligence, they're classified for up to 70 years, and if it's related to "the fixed defenses of the realm" (rikets fasta försvar) i.e. fortifications of various types, they can be classified for up to 120 years. After the classification time has expired the document (or rather, the whole archive volume it's contained in) is usually declassified by the archive staff, no questions asked, if you apply for access to it (takes a couple of weeks, usually). If the classification time hasn't expired, it can still be declassified but that requires a higher level decision, either by the classifying authority or by someone at the Department of Defense. Most documents we're interested in are regular secret but have been declassified already, usually because someone else has already applied for access to them. Top secret documents do not have a fixed declassification time. They can be declassified, but doing so requires a decision by either the classifying authority or the head of the Department of Defense (that is, the Minister of Defense). You can also apply for access without a request for declassification, but getting that access granted requires approval of the head of the DoD, and getting access does not mean you have the right to talk about the content of the document (since that's still classified). Generally, things are only classified top secret if they're absolutely critical to the defense planning or if they involve foreign powers in some sensitive way. 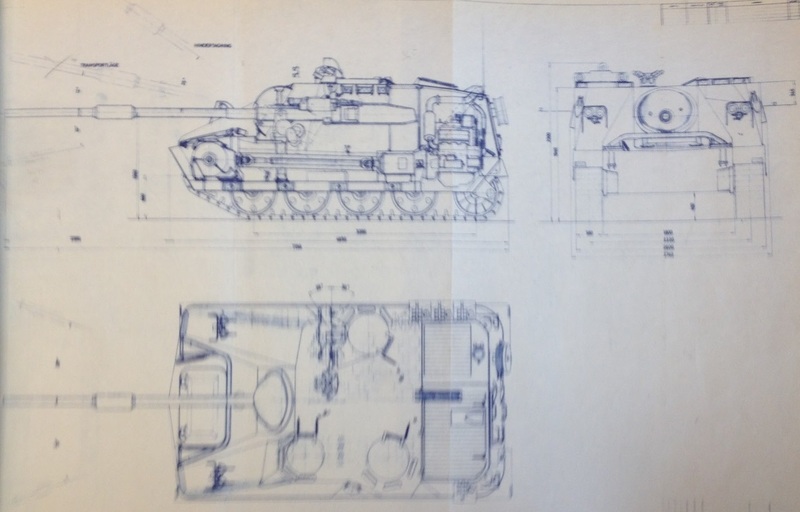 There might be some top secret tank stuff in the archives, but I doubt there's a lot of it. 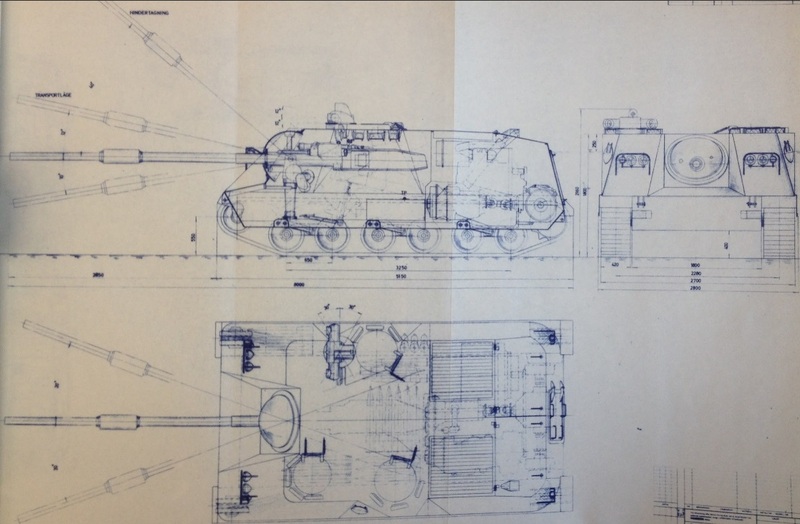 Mostly, I've been going through the secret archives of KATF's Vehicle Bureau and its predecessors, with some additional checks of other bureaus (especially the Engineering Office, which I've gone through in its entirety). At this point I've browsed most of what I believe to be relevant archive volumes from 1944 to 1966. I've ordered the volumes for the last year of KATF's existence (1967) as well and expect to look at them either tomorrow (Saturday, April 12th) or on Wednesday. 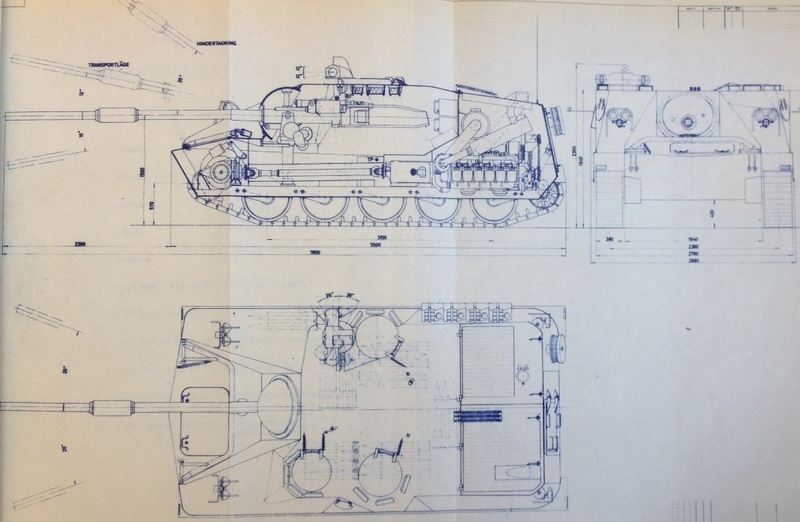 During most of its existence, KATF kept blueprints/schematics/drawings separately from text documents, which is why I've found so much text but relatively few blueprints and drawings. 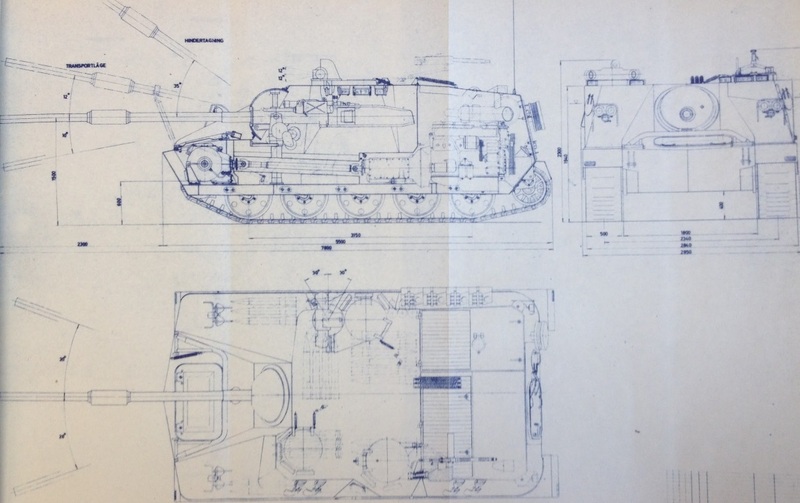 Unfortunately, it appears that most blueprints kept at KATF and its predecessors between 1944 and 1968 have been burned, so the main hope of finding more are either stray copies that have survived in various text archives, or blueprints kept in private archives. - Start researching pre-1944 stuff. I'm not currently 100% sure which bureau was responsible at that point, but it shouldn't be too hard to find out. - The weapons bureau. 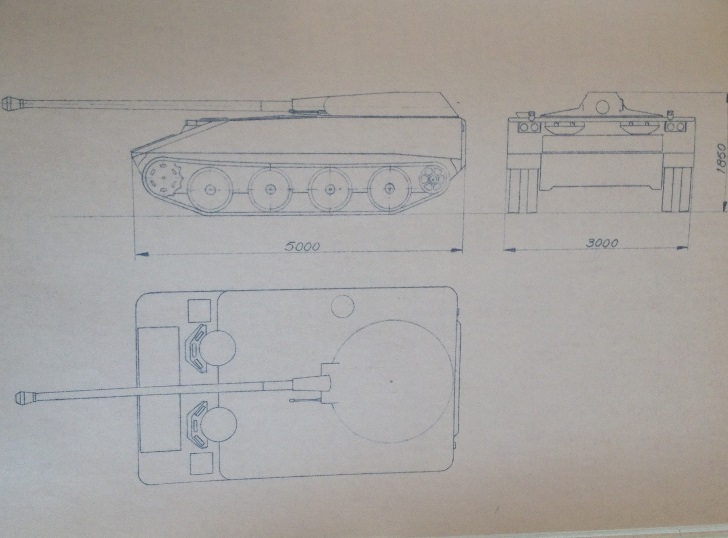 Unlikely to have much in the way of blueprints, but penetration data and tank gun stuff could be interesting. - Investigate the state of the Landsverk blueprint archive and try to convince the archivist it needs to be accessible. - The equipment department of the army headquarters. These guys asked KATF to develop/purchase things, and it's definitely possible there's stuff in their archive that isn't in KATF's archive. - Looking for foreign stuff in the various intelligence archives. Might be classified still? - The photo archives of the defense headquarters. - Film clips! The army filmed a lot of stuff, but it's not kept at the National Military Archives but rather by a non-profit organization called AMF. Their film list is huge, but it's expensive to order films from them. As a private individual it costs 300 SEK per film regardless of how long it is; if you want rights to show it to the public it's 600 SEK per film. I've previously bought this clip of the S-tank live fire trials and uploaded it to YouTube, but it gets really expensive really quick if you want more than just one or two clips. My first choice at this point would be the weapons bureau, it would be good to have a better idea of which tanks fit best at which tiers. My second choice would probably be the Landsverk archive. Edit: I should also mention that my third choice would be the pre-1944 stuff. 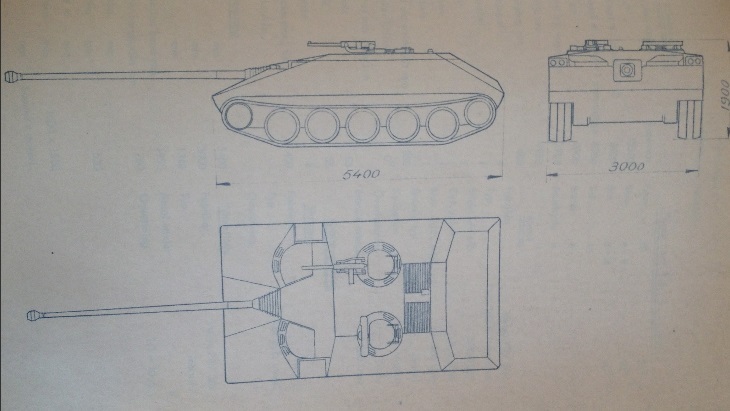 Perhaps there would be blueprints of early Strv M/42 proposals and the Landsverk Terro. Edited by Slakrrrrrr, Apr 11 2014 - 15:12. 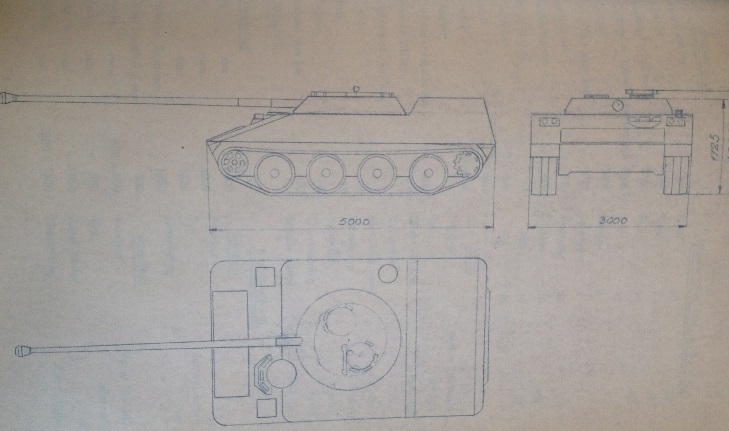 So ive been thinking about what to do with the new Ikv´s and while i have a idea for both a turreted and non turreted td line, i have decided that a single mixed Ikv line would be best.